This weekend is my cousin’s bridal shower, and it pretty much catalysts the entire fall wedding season for me. I have the shower this weekend (and I already have some expectations, because I had my own shower, years ago, and my sister’s in July), my best friend’s wedding the end of this month, and my sister’s wedding next month. All of which I’m in the bridal parties for, which is wonderful and also hella stressful - because I work and have a one and half year old at home. In any case, since weddings are pretty much my life RN, I’ve been having lots of chats with my friends and family, recently, about what we all love about them and what we could do without. I obviously love ALL the stuff, but not everyone in my inner circle has such an affinity for all things amorous. Anyway, today my husband and I convo-ed about what is most important to us as wedding guests - and I rounded up 10 of them that I think resonate ridiculously well with the rest of our peers. Definitely stop us if you disagree… but I don’t know, something about millennials and our love for experiences and cherished moments over things… this all kind of makes sense. The wedding day, be it Friday, Saturday or Sunday. And for modern couples, it’s not even limited to that! At my sister’s final venue visit a few weeks back, her coordinator mentioned that they were setting up for a 500-person wedding THAT NIGHT (and it was a Tuesday, mind you). For wedding guests, the day of the week that the wedding falls on is pretty important. 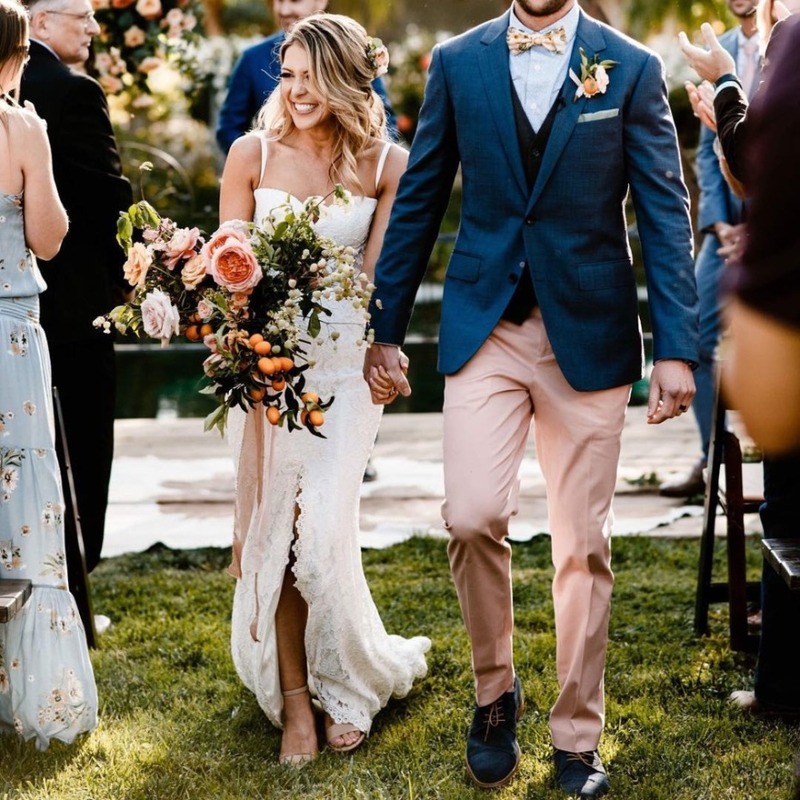 Most people would agree that Saturday weddings are the easiest to pencil into their schedules, but LBH, if you’re close to the bride and groom, you’ll make your attendance work, regardless. Wedding guests are definitely superrrrrr in tune with these details, because they need to know how to coordinate their schedules to accommodate going to the wedding. 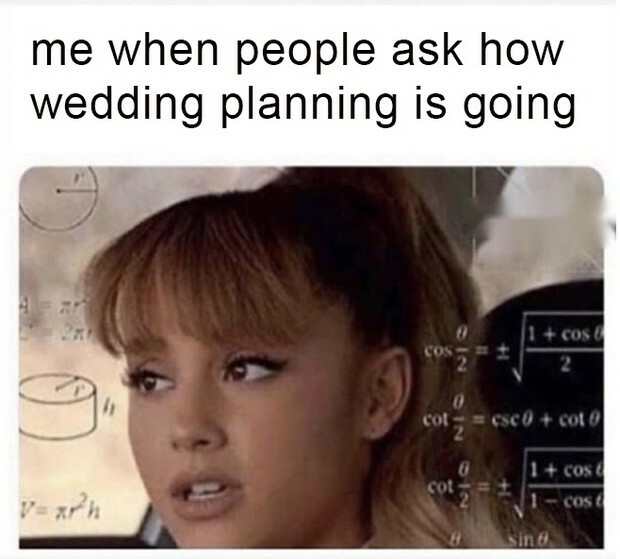 Not saying that couples who have Saturday weddings are loved the most (((of course not))), but it’s certainly something to think about when you’re in the early stages of planning. No matter what, when you’re booking your venue, do what works best for YOU and your budget/preferences. All the important people will do what they have to, to be there for you. Whether the wedding will be a destination or domestic affair. This is definitely one of those things that can go either way: either wedding guests will be psyched AF to jet set to some destination ‘I Dos’ ((what with the cool exploration opportunities before and after the wedding)) or they’re a little peeved because they need to get that PTO approved ASAP. Truly, wedding guests just want/need a heads-up in any case. So, sending out an on-point save-the-date, with enough preparation and planning time is high priority. That’s the biggest part of this picture, you just need to give your guests appropriate lead up to ensure they can make arrangements to be there, or they can provide a sound excuse for their absence - and financial+family circumstances are certainly acceptable. How on time everything happens. I’m a millennial, and I obvi understand and agree that we’re a pretty impatient group of people. We look for instant gratification wherever we can find it, and we get annoyed super easily, if we’re running off schedule (especially if it’s not in our control). Well, we really need to get over it, but until we do, we’re really in tune with how on-time the weddings we attend operate. Sure, it’s awesome to have a little bit of extra wiggle room, in case getting to the ceremony takes longer than expected. But aimlessly waiting around for the procession to begin does not a happy wedding guest make. That’s why guests would prefer the couple put the actual expected ceremony time on the invitation, as opposed to putting an earlier time on there and forcing people to show up well before things even look like they’re starting. Not saying that this is reasonable behavior, anything can happen to throw a wrench into the wedding day run of show (and people need to be accommodating), but as much as you can keep things punctual, the better! The uniqueness of the wedding ceremony. Years ago, wedding guests would attend a ceremony, listen to the vows, delight in the ‘I Dos,’ smile at the first kiss, and go on to revel in the reception. Nowadays, though, guests are much more alert and invested in the actual wedding ceremony - not saying they weren’t before - it’s just an even bigger thing to have a totally-tailored wedding ceremony now than it was before. Wedding guests are interested in the little details, the special things that make a coupe shine, and they take particular notice of the ceremonies that moved them. My sister was in a wedding a few weeks ago, and she and her fiancé were so impressed by the couple’s ceremony. They loved how personalized and intimate the officiant made it, and couldn’t stop talking about how special it was for him to recount all of the wonderful things the bride and groom loved about each other (because he had taken the time to sit down with them, hear what they wanted for their day, and surprise them with beautiful sentiments that each shared about the other). These tweaks to a traditional ceremony track don’t go unnoticed. Not by a long shot. These will always be on a list like this, because guests liveeeee for the bites and booze at a wedding. And truthfully, what I’ve gathered over the years in this wedding world, combined with my experiences as a guest, is that a great cocktail hour will never. ever. ever. be forgotten. In fact, if anything, an extended cocktail hour, complete with a blend of comfort food and chic eats will be talked about for years to come. And when it comes to the beverages, an open bar will never be overlooked. It’s actually one of the most-looked-forward-to things at a wedding. Whether that means you trick out your wedding bar with the coolest spirit experiences or just keep the premium liquor and signature drinks flowing throughout the night, just let your guests drink and be merry, if you can. And if top-shelf sips aren’t exactly sitting well with your budget, then just let you guests know that you’ll be serving up wine and beer, and offering a cash bar for anyone looking to turn up just a tad more. The advance notice is all it takes to keep your guests in happy spirits. I’ve been to weddings before, where the music has been less-than lackluster, and to say it was a buzzkill is the understatement of the year. Getting your guests up and engaged in the evening - now that you’re no longer engaged yourself - is paramount and music is the magical thing that gets them there. So, don’t skip out on solid entertainment, be it a band or DJ, and while you’re at it, make sure to due your due diligence on that ‘do not play list.’ Your guests will remember those hip hop bangers that got them out of their seats, and so will you. Good music = good times. The guest list // seating arrangements. Okay, so we wouldn’t say that plus-ones are a make or break thing when it comes to overall wedding enjoyment… your guests are old and mature enough to handle themselves and make friends if they need to (without having to have a standby for stress). BUTTTT, they DO care about their comfort levels, and would appreciate having some familiar faces around - especially if they need to handle seeing an ex - or are recently single and just need a good girl/guys’ night to forget about the noise they’re currently dealing with. As you’re considering your table arrangements, try to keep those kids in mind. Don’t let them sit by themselves or get squished between their ex and someone they’d like to hook up with, but don’t have the nerves just yet. If you do have intentions of setting them up with someone you think they’d vibe with, don’t force it or make things awkward. Instead, introduce them at the cocktail hour or early on in the reception, and let the chips fall where they may. My cousin and my brother-in-law are getting married this upcoming January, and while I can’t take all the credit for their courtship, I do think it was helpful that me and my hubby let the chemistry take off on its own, without intervening in an unnatural way. No matter how you do it - whether your venue offers extended hours options as an added perk or whether you’ll be maxing out the hotel bar with your besties or directing the crew somewhere off-site, an after-party is just a great way to keep the momentum going and wedding guests for sureeeee love it. 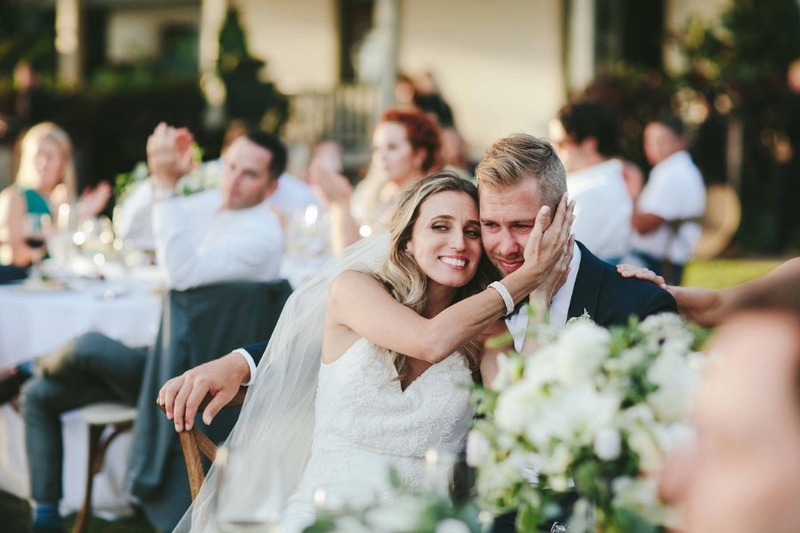 There’s really nothing worse than your emcee saying ‘good night’ and everyone rushing home or calling it quits - leaving you and your new Mr. or Mrs. with palpable post-wedding blues. So, we’re all in on keeping those good vibes coming. After all, what goes better with your best day ever than a best night ever? 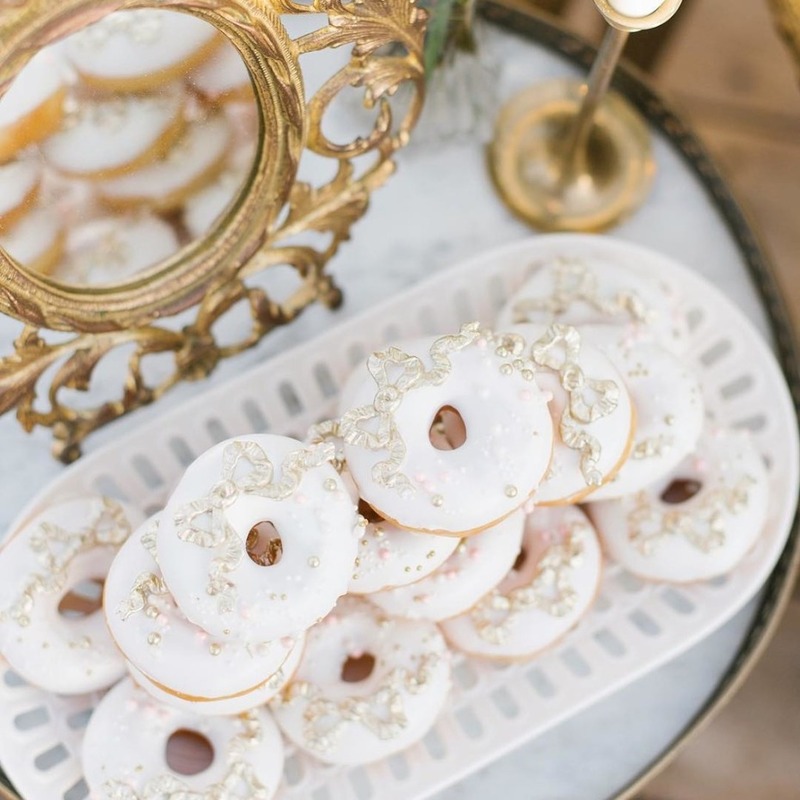 You’ll make it back to your room to get cozied up in pajamas at some point… If you can send your guests away with an after-party for the ages, complete with snacks for the road, then you’ve done your job. Not much has to be said here, guests can always get down with nice nearby digs - even moreso if they’re partying hard at the after-party - but with the hotel(s), guests want to be sure they can book a room as close to the wedding as possible. They’re procrastinators, remember ☝️? So, if you’re the couple, do your best to check in with your lodging peeps, every once in a while. If your room block is getting close to completion, send your bridal party, besties, work wife/bros, and extended family members a memo to get their rooms booked or ohhh well. The FYI goes a long way, if only just to CYA. And then there’s transportation… of course Lyft and Uber exist, but the couples who do weddings heads above the rest will also have a shuttle service or transportation means for their crew to make it from the reception to the hotel without worry.